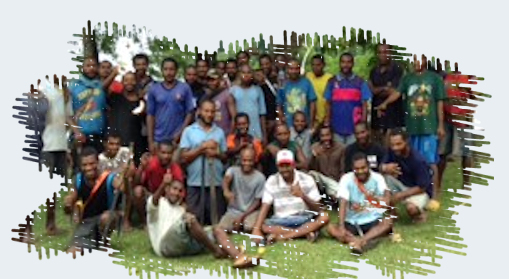 Following discussions with Sir Peter Barter, businessman and long term resident of Madang in 2013, concerning growing law and order problems in the Province, the City Mission decided Madang would be a natural place for us to expand our operations. That dream became a reality in July of 2017 when we launched our boys program. 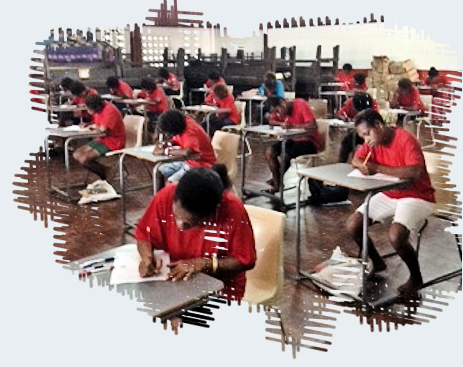 Interviews for acceptance into the program started the 4th and 5th July at Holy Trinity Anglican church in Madang and Gospel Light House Church. A day program for the young men was then launched on 10 July, 2017. The young men received literacy education in the morning and after being served lunch they were then expected to do voluntary cleaning around Madang town in the afternoon. In November of 2017 we were leased the Apex Hall from Ma dang Amateur Theatrical Society Inc. and after occupying this building we were able to commence our residential program. The young men now had a place to call home and were very happy. The hall was extremely run down and as part of their training the boys were used to help renovate the entire building. This project was completed by the first week of March 2018 and the Hall has now been fully restored to its former glory. In February 2018, we were offered a 10 year lease over Huluhan Plantation, from the Catholic Archdiocese of Madang and this has become the base for the New Life Skill Training Centre for young men. At this centre the young men are taught literacy, agriculture, livestock, and vocational training. On 18 June 2018, the Family Support Centre at the Apex Hall was opened. The Centre provides Christian counselling, temporary accommodation, healing and support for individuals and their families that have been affected by domestic violence, sexual abuse and exploitation. A day program of classes for girls aged 16 to 25 has now commenced, teaching literacy and numeracy, agriculture, sewing, cooking, hospitality, financial management. and personal development. We are extremely pleased to offer these services to the most at-risk and needy people of Madang. In November of 2017 we were leased the Apex Hall from Madang Amateur Theatrical Society Inc. and after occupying this building we were able to commence our residential program. The young men now had a place to call home and were very happy. The hall was extremely run down and as part of their training the boys were used to help renovate the entire building. This project was completed by the first week of March 2018 and the Hall has now been fully restored to its former glory. On 18 June 2018, the Family Support Centre at the Apex Hall was opened. The Centre provides Christian counselling, temporary accommodation, healing and support for individuals and their families that have been affected b y domestic violence, sexual abuse and exploitation. A day program of classes for girls aged 16 to 25 has now commenced, teaching literacy and numeracy, agriculture, sewing, cooking, hospitality, financial management. and personal development. We are extremely pleased to offer these services to the most at-risk and needy people of Madang.